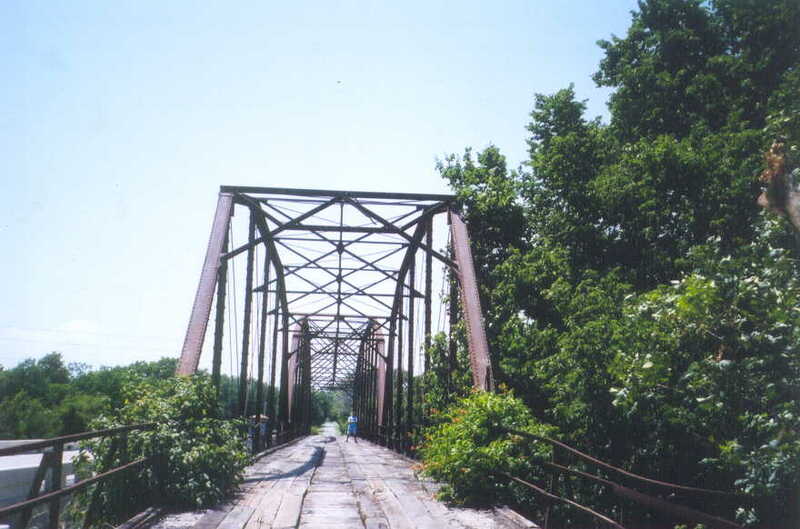 OLD OK 88 Verdigris River Bridge, Rogers Co.
Now a Rogers County road, this bridge was built in 1910 by the Central States Bridge Co. Later, it served as a crossing for OK 88. It now sits idle. A new concrete bridge has been recently constructed next to it. 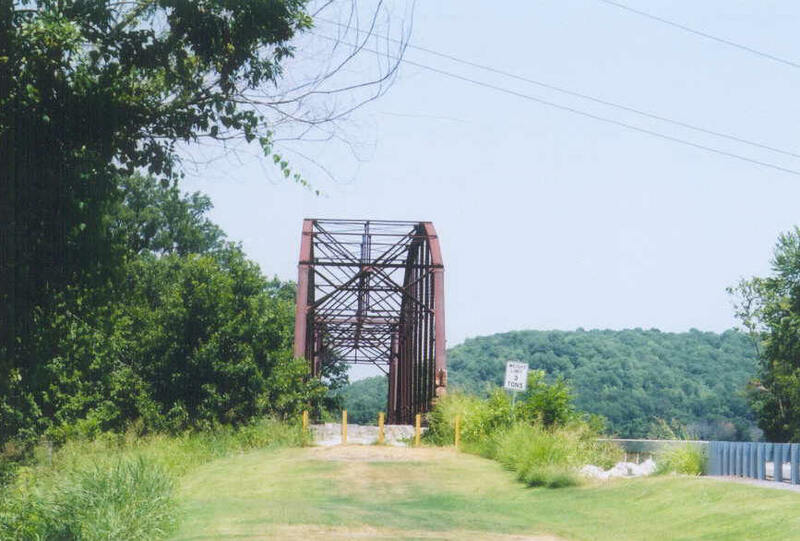 Below is the bridge viewed from the old road alignment. The tall main span is a pin-connected 10-panel Parker 209-feet long. In the picture above David, our civil engineering expert, stands on the deck of the shorter span. This span is a 120' six-panel Camel-back, also pin-connected. 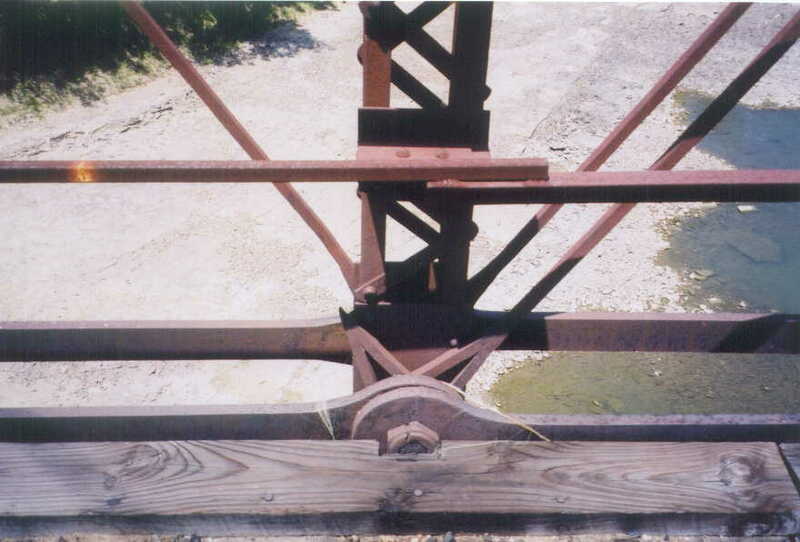 Below is a deck view of the Parker span. The guard rails have many damaged and repair sections. You can see the clear blue water of the Verdigris River in this photo also. 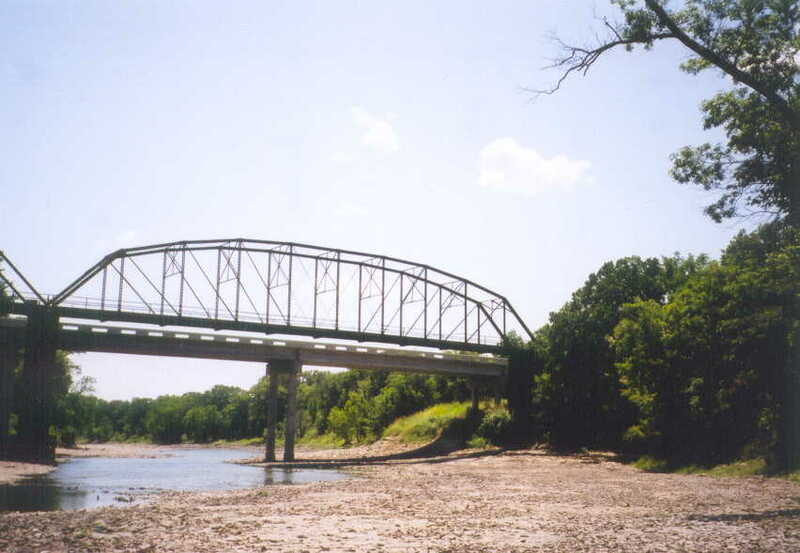 The Oolagah dam is just a few river miles upstream of this bridge. Above, a portal shot of the Parker span. We did check the endposts for evidence of a builders plaque, and found broken bolts and bolt holes. pictured below is the Camel-back span from the side and the pier. 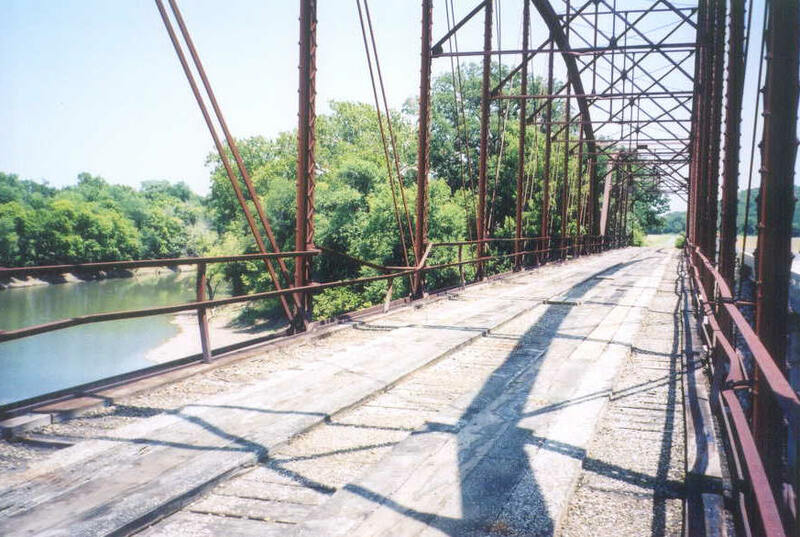 Unlike most of these old bridges that used the concrete-filled steel piers, this one has a steel shear wall instead of struts and X-braces. 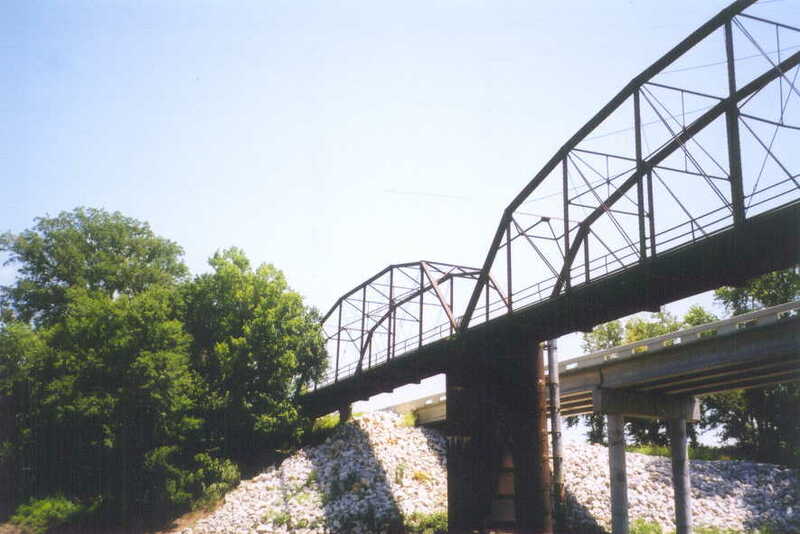 And finally, below is a side view of the Parker span. The location of the bridge and its setting are really quite impressive. 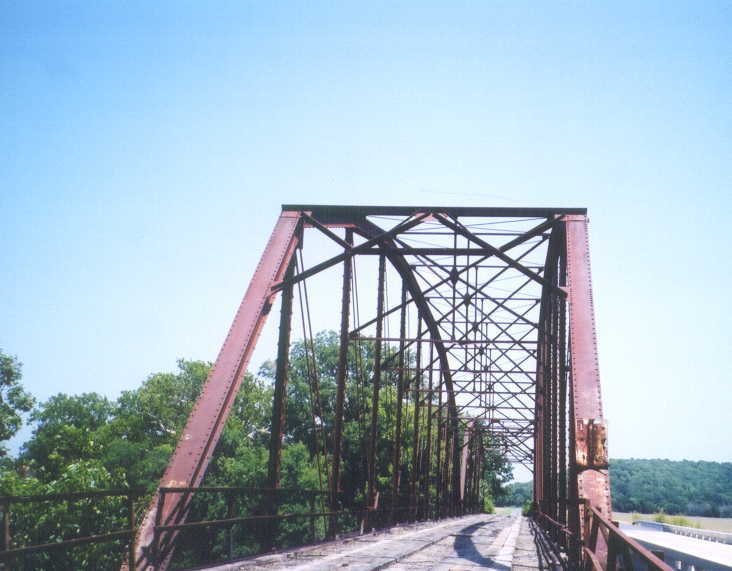 The truss bridge, with its single, long span is a much more impressive crossing than the drab concrete bridge in the background.